The Mississippi Queen docks at Maysville's Limestone Landing, while passengers tour downtown businesses and historic points of interest. The Landing was specially constructed to permit docking by large vessels such as the Queen. 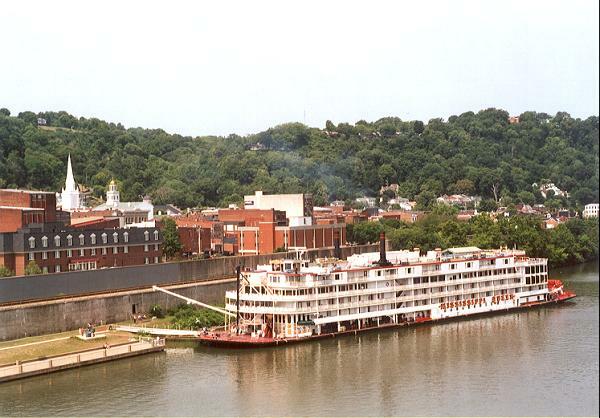 Although this steamship no longer exists, Maysville continues to host other paddle wheelers on a regular basis, including the American Queen. More information about this once magnificent boat can be found HERE.